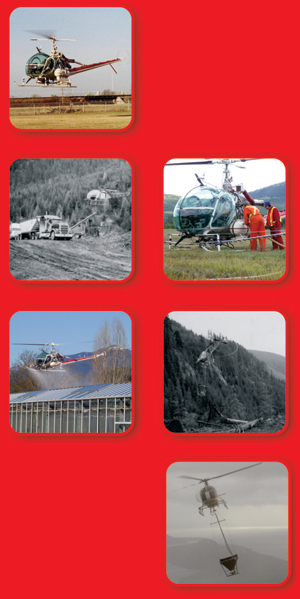 Our team of pilots and ground-support crew are specially trained in the Art of Aerial Application. All of our pilots have been trained 'from within'; working as ground-support crewmembers first and learning the business before flying for us; this may take several years, but the benefits are extremely worthwhile. We experience very low 'turn-over' with our ground-support employees and this makes them very well trained and experienced in our line of business - Experience makes a big difference out in the field. Since Aerial Application work is our only business, our pilots are always current on the special skills required for this type of work – they aerially apply product all year, not just for a few weeks like our competitors. That's what being a specialist is all about! When you add to this the 25+ years of Aerial Application experience that some of our pilots can offer to our younger pilots, it is easy to understand why we are the Best at what we do.